A Thanksgiving recipe called for heavy cream, but what to do with the rest of the quart? Make some awesome pudding, that's what! Another favorite from my childhood is JELL-O butterscotch pudding. Instead of using two cups of regular milk, I combined a cup of heavy cream with a cup of skim milk, resulting in about a 20 percent fat content. 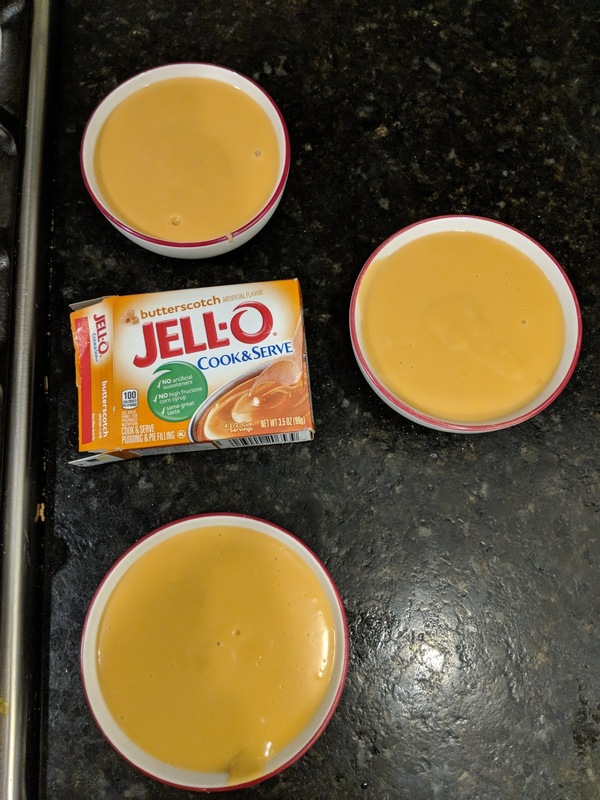 Instead of splitting the two cups of pudding the suggested four ways, I opted to pour the more satisfying super-sized three bowls you see below.